Disney Dining Review: Boma - Flavors of Africa! Disney Dining Review: Boma – Flavors of Africa! The poll was set, and the readers have spoken! Come with us as I take you on a trip to experience Boma – Flavors of Africa at Disney’s Animal Kingdom Lodge! The only time that I have ever eaten at Boma was in June of last year. My sister-in-law Nancy and I wanted to plan a special outing with just the adults — our children would stay at the resort with my niece and her friend. The question was, where would we go to eat? A lot of discussion was had about this, both on this blog and on Chip & Company, and in the end, we decided that we would give Boma a chance. Boma is located in the Animal Kingdom Lodge, and we had a dinner reservation. Boma offers dining reservations for breakfast, lunch and dinner. Styled after an African open-air market, Boma is a buffet, but with some of the most unique dishes you’ll find on property. We tried quite a bit of dishes that I had never eaten before, including an intriguing dish called Bobatie. When I came to the dish on the buffet, I noticed that it had a ground beef base, with what looked like a cornbread topping, so I got some. About halfway through my dish, I realized that what I thought was cornbread was actually an egg dish! Now, those that know me know that I don’t like eggs. These eggs were done well, though, and I enjoyed them. In addition to all the other African quisine foods, there are also an astounding number of desserts available! All sorts of treats, and the beauty of them is that they are smaller in size, so you can get a large variety of different ones, find out which ones you like best, and then go back for more! Boma is a good restaurant, and one that I would consider eating at again. About the only thing that I wish was different was that the food might be a little more spicy. As it stands, it is kind of bland, but I imagine that is the type of food that I would find in Africa. So tell me, what did you think of Boma? Have you eaten there before? The Next Disney Dining Review! Thanks Mike! We still haven't tried Boma. We love Jiko so much we keep going back there instead. One day I will get there! Remember all of the different salads and varieties of humus?? We decided to go there that night because we figured, “When will we ever have the chance to sample African food?” It was a nice evening!!! We were not disappointed! Absolutely right, Nancy! We weren't disappointed at all. It was a great night had by all! 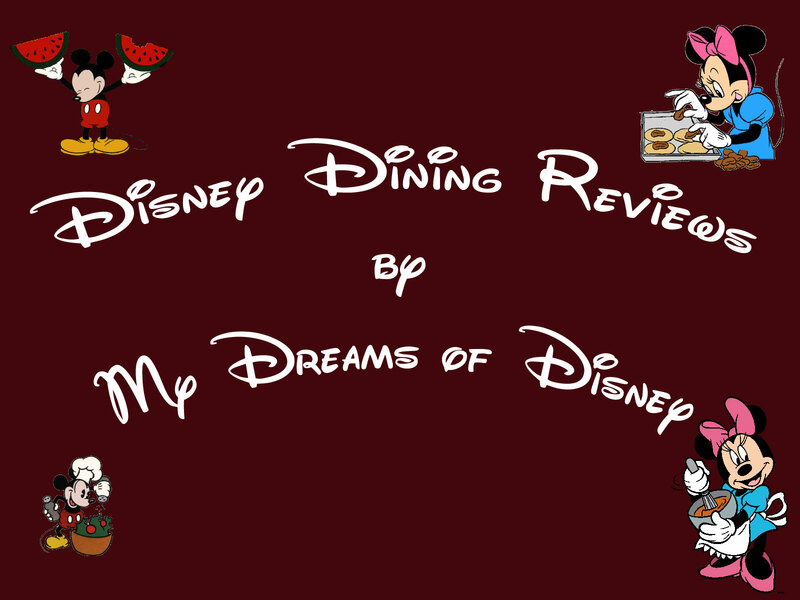 Previous Post: The Next Disney Dining Review!